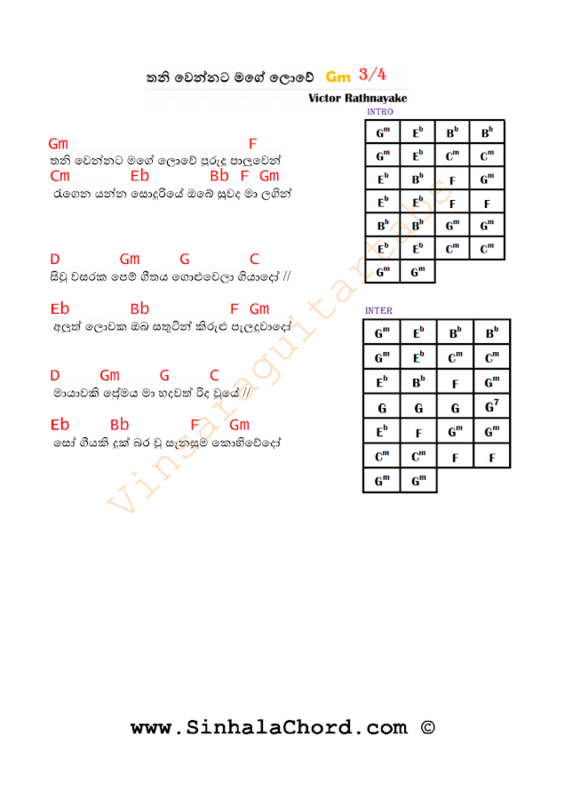 This song is written by Buddadasa Galappaththi and music is composed by Rohana Weerasinghe. 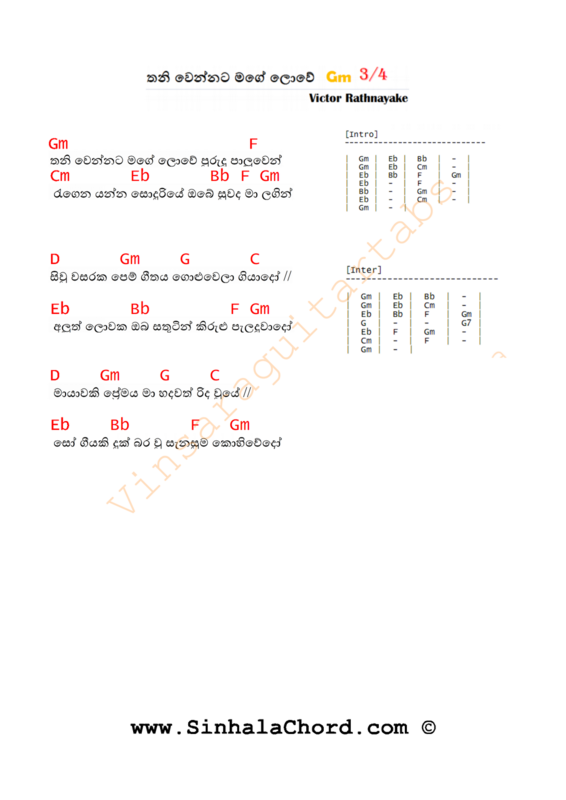 This is a legendary song among Sinhala songs. I have heard this song many times in "Sa" concert.Every time they play different chords. (for an instance verse starts on F major instead of D major sometimes)You can try few changes if you are an advanced player.